MAPUTO, Mozambique, March 27, 2019 /PRNewswire/ — Movitel, a Viettel brand, has become the first and only telecommunications provider to generally recover its services in Mozambique following the devastating Intense Tropical Cyclone Idai, which wreaked havoc in the country, killing thousands and caused extensive damage in the affected areas. Movitel’s full services are expected to resume at the end of the month. 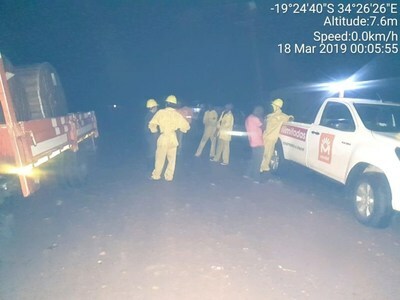 “After Intense Tropical Cyclone Idai, many roads in Mozambique suffered serious landslides, thus, travelling was very difficult and incident recovery was significantly affected. We expect that by March 30th, incidents will be completely remedied and the whole telecommunications system in Mozambique will be recovered,” said Mr. Do Manh Hung, the General Director of Viettel Global. Idai, which was considered the worst weather-related disaster to hit the southern hemisphere, started approaching Mozambique, Malawi and Zimbabwe on March 14th. Before even arriving, the storm already damaged almost everything in the affected areas, caused severe flooding and claimed thousands of lives. Viettel was alerted of the implications that the storm would bring to its Movitel’s network comprising of 273 base transceiver stations, so it immediate started mapping out its remedial plan. According to Mr. Do, Viettel assigned 30 technicians in African markets, including Burundi and Tanzania, to remedy incidents for Movitel while technicians of Movitel and rescue teams from Vietnam, Burundi and Tanzania were asked to repair cable systems and the base transceiver stations affected by the cyclone. Currently, Movitel has recovered 75% of its base transceiver stations and the remaining stations are in the process of being restored. Apart from helping the country to recover telecommunications services, Movitel has donated 50 tons of food and rebuilt houses for people in the affected areas. The company has also given 30 MT (around USD$0.5) to customers in affected areas and offered at least 20,000 SIM cards for exchange. In the flooded areas, Movitel cut price of 2G devices by $3 and replaced batteries for devices bought at Movitel. According to statistics, the number of Movitel subscribers who lost connection during the storm reached almost 290,000. However, with sales promotions and support, original consumption was restored to the normal just days after Idai hit.